The common cold is caused by a group of viruses that are known as rhinoviruses. These types of viruses are generally not severe and typically cause symptoms such as sneezing, runny nose, congestion and itchy and watery eyes. Viruses that cause the common cold can live on the skin and other types of surfaces for as long as three days. This makes children more susceptible to contracting a cold in comparison to adults. For the most part, a cold is not long-lasting and will gradually fade away over a week or two. Since cold symptoms and allergy symptoms are similar in nature, it can be difficult to differentiate between the two conditions. In an effort to eliminate allergies as a possible condition, doctors will typically take a complete medical history of the patient. They may also ask questions to determine if the patient has been exposed to a virus that causes a cold. An allergy test may also be conducted to exclude hay fever or other types of allergic conditions. If the patient presents with a fever that is as high as 102 degrees, allergies will immediately be eliminated as a possibility as they do not cause a fever to develop. The physician will also examine any mucus or discharge that is coming from the patient’s nose or mouth, which will help to distinguish between an allergy and the common cold. Diagnosing the patient with allergies rather than a cold is a common misdiagnosis that some physicians make. The conditions are misdiagnosed so easily since their symptoms are similar in nature. If the physician is waiting for results of an allergy test, it is possible for a delayed diagnosis to occur. There are no major repercussions associated with delaying treatment or a misdiagnosis of rhinovirus. Discomfort and the inconvenience of having a cold are the main consequences of delaying treatment, although having a cold is not dangerous and does not pose any risks to the affected individual. In most cases, visiting a physician is not necessary for treating a cold, as there are numerous over-the-counter treatments that will provide relief from symptoms. It is possible for an infection to develop shortly after the cold has dissipated, which will need treatment with antibiotics. More commonly, children develop ear infections that occur shortly after cold symptoms have dissipated. 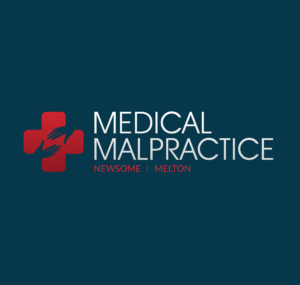 If an individual presented with a condition that is more concerning than the common cold, were misdiagnosed and they experienced serious repercussions as a result, they may be able to proceed with a medical malpractice claim.